I’m looking forward to the #threequestionsEDU series of posts. I always enjoy reading the writing of others and I hope you find the responses interesting. Please respond in the comments and share what you think. If you’d like to respond to the questions, please read this post first. 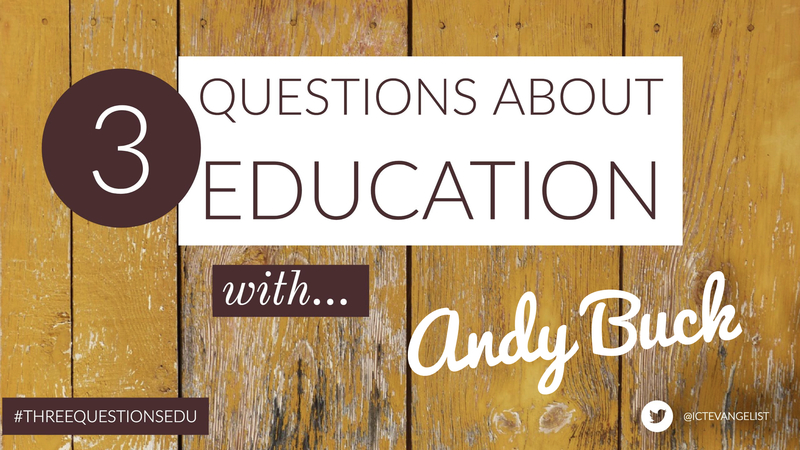 Kicking off the first #threequestionsEDU response is Andy Buck. 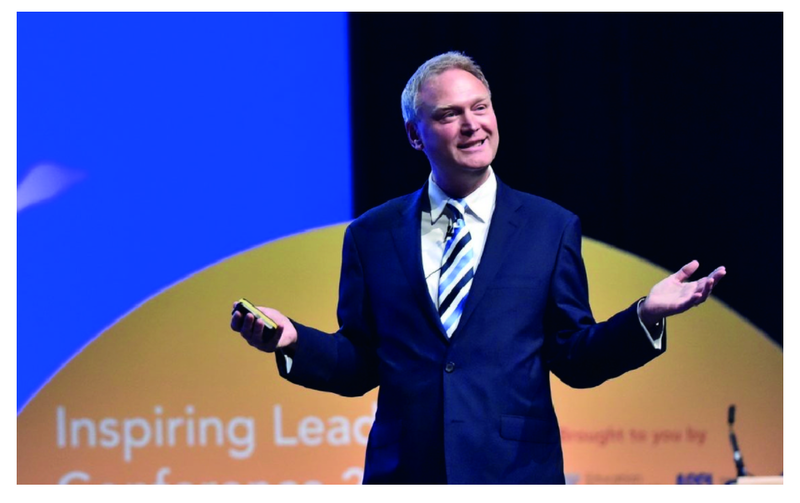 Andy has an impressive resumé in education and wrote one of my favourite books from last year, “Leadership Matters – How Leaders at All Levels Can Create Great Schools“. There’s a great review here. Retention of teachers has always been an issue but it is currently getting more and more of a concern. We cannot afford to keep training up more and more new teachers every year. For me, unrealistic expectations in England around marking are at the heart of the problem. But it is exciting to see how schools are starting to be honest about this and use decent evidence-based alternatives to the traditional marking regime. I just love using the technique variously known as ‘cold-calling’ or ‘no-hands-up’ where a teacher doesn’t let pupils opt into answering some of the time. So why is it a good idea to sometimes say ‘no hands up’? Firstly, ‘hands up’ usually increases the level of engagement in a class. Because students don’t know who the teacher will choose, there is already a much greater chance they will have engaged with a particular question in the first place. Many students in our school happily admit that whilst they don’t always like the ‘no hands up’ rule, it does make them much more likely to think about what is being discussed because they might be chosen to answer. Secondly, a class where students put up their hands often place the teacher in the middle of a potentially complicated situation. Imagine the scene when a teacher first meets a class. Discussion begins, questions are asked and hands go up. The teacher chooses who will answer. After a while it becomes obvious that it is the same few students who put their hands up. What about involving the rest of the class? What does the teacher do? Usually questions start being directed at students who haven’t put their hands up. Then it starts to get complicated. The students chosen sometimes think they are being ‘picked on’ because they didn’t put their hands up and are also often feeling unprepared to answer the question (they hadn’t expected to be asked so hadn’t really been listening). But they can’t be seen to lose face in front of the rest of the class. The chances of an inappropriate or poorly considered response are greatly increased. And what about the ‘hands up’ faithfuls? Well, they start to lose interest. What’s the point in putting your hand up if the teacher only chooses those who don’t? Quite quickly, the teacher can begin to lose the support and goodwill of a range of students within the class. Add to this the irritation of the students (often boys, I’m afraid) who put their hands up when they don’t even know the answer simply to gain attention; or the bright students who don’t want to be labelled as ‘swats’ and never put their hands up but secretly want to take part, and you have a complex set of social parameters in operation that make things very difficult for the teacher. Much better, therefore, for the teacher to select students to answer. This makes for a more manageable process in terms of overall behaviour management, as it puts the teacher in control of this part of the lesson. This has the added advantage of enabling teachers to target questions accordingly, to push more able students and to support the learning of students with special educational needs. It also means the teacher can build in a delay between question and response which allows for proper thinking time which is vital for some students. Boys particularly are often keen to guess at an answer before thinking it through. The quality of likely response therefore suffers. Students are also much more likely to listen to what another student says in response to a question if it one they have been thinking about themselves. By stressing the disadvantages of using ‘hands up’ it should not be assumed, however, that there aren’t times when it is has a useful role to play. It is particularly useful towards the end of a dialogue or discussion phase when the teacher may be asking a really challenging question and cannot be sure that the person they are choosing will know the answer. It is naturally helpful to know which students think they might have the answer. It’s also really helpful to ask a class the question ‘who agrees?’ or ‘who disagrees?’ with an answer. Use hands up to vote gives the teacher instant feedback on the classes understanding of a particular concept. It’s assessment for learning in action. My thanks to Andy Buck for taking the time to respond to the questions. I hope you find it of interest and look forward to reading your comments!